Although today’s spotlight lies on the recently reached Brexit deal, there is still room for other important news on the international economy. One example of this is the recently presented results of the top 10 financial advisers for the Retail industry for Q3 2018. 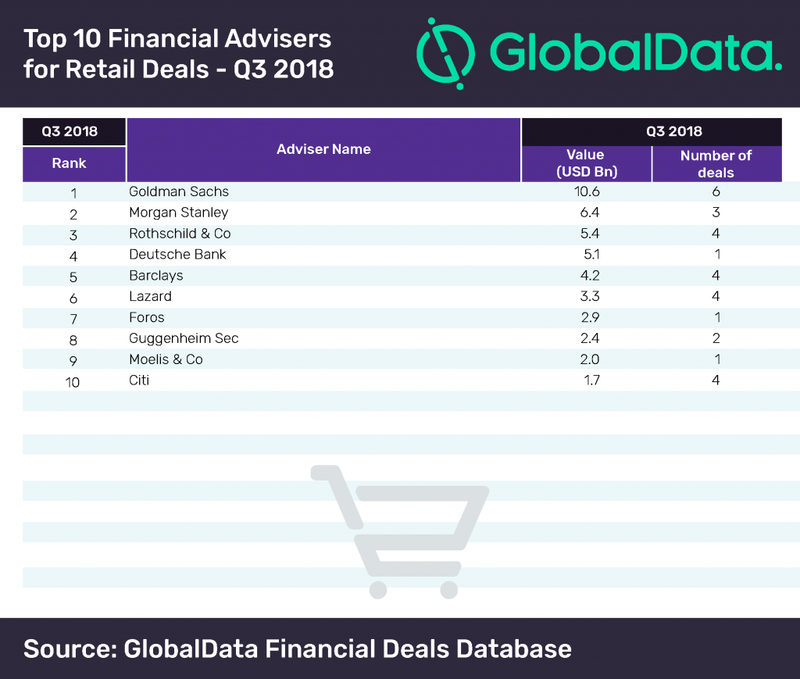 As such, Goldman Sachs has dominated the latest mergers and acquisitions (M&A) league table of the top 10 financial advisers for the Retail industry for Q3 2018, amidst its second position on the recently revealed ranking of Global M&A Financial Advisers for Financial Industries on the same quarter, as it has been compiled by leading data analytics company GlobalData. Goldman Sachs, an American bank, raced to the top in terms of deal value, with an impressive six deals worth a total $10.6bn. It was also involved in the highest number of transactions during the quarter, including the big-ticket deal of Coca-Cola’s acquisition of Costa for $5.1bn. According to GlobalData, which uses its tracking of all merger and acquisition, private equity/venture capital and asset transaction activity globally to compile the league table, Morgan Stanley and Rothschild & Co worked on deals worth $6.4bn and $5.4bn, respectively, occupying second and third positions. The Retail sector saw low-value deals during the third quarter of 2018 compared to the corresponding quarter in the previous year. The total value declined by 33.67% to $12.41bn in Q3 2018 from $18.71bn in Q3 2017. However, volumes increased by 27.5% from 218 in Q3 2017 to 278 in Q3 2018. 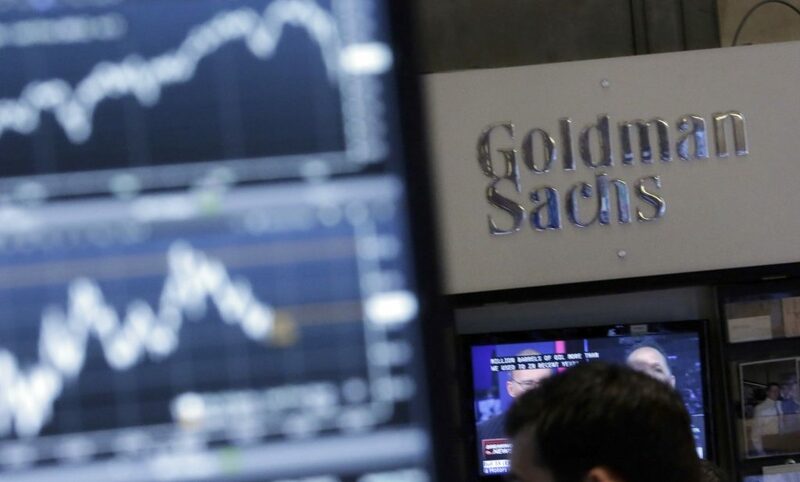 Goldman Sachs, which topped the Retail league table of M&A financial advisers, occupied third position in the global league table of top 20 M&A financial advisers that was recently released by GlobalData. Citi, which topped the global rankings, ranked bottom of the retail league table. 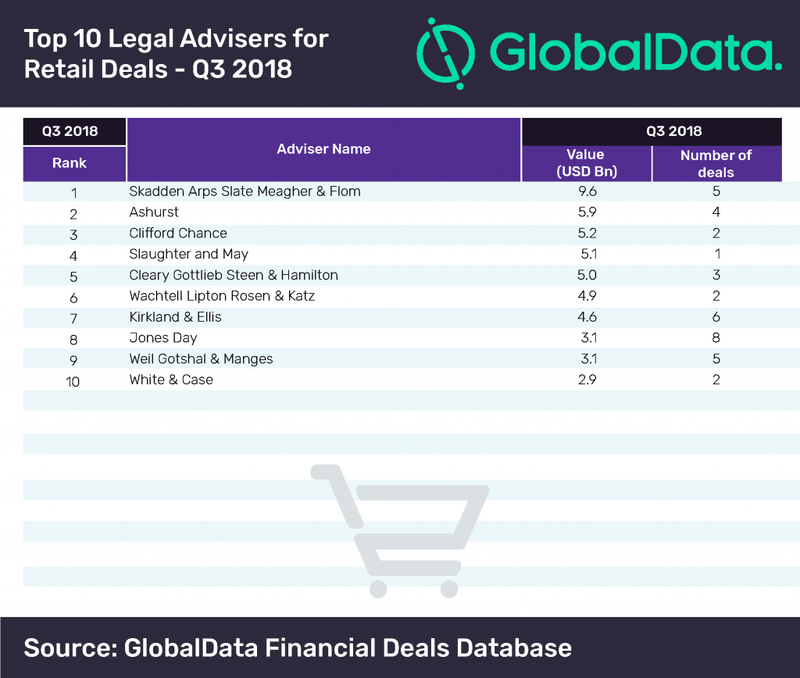 US-based law firm Skadden Arps Slate Meagher & Flom emerged as the lead player in the list of top 10 legal advisers by value with five deals. It advised on deals worth a combined $9.6bn; including the industry’s top two transactions – the Coca-Cola-Costa deal and United Natural Foods’ purchase of Supervalu. All the top four advisers in this list were associated with the Coca-Cola-Costa deal. Jones Day, which ranked eighth position by value, was involved in eight deals – the highest in the volume chart.